If you are looking to replace or upgrade the flooring in your home or business, then the team at Bennetts Carpets can help. 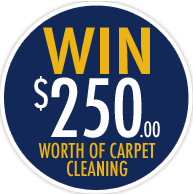 We are Brisbane northside’s carpeting specialists. At Bennetts Carpets, we understand that everyone’s flooring needs are different. This is especially so in Brisbane’s northside, where homes range from old Queenslanders, to modern townhouses. To meet the dynamic needs of this area, we offer a wide variety of flooring products. Our range includes timber, vinyl carpets, rugs and more. With extensive experience in the industry, our team has worked on everything from homes and apartments, to commercial complexes, health clubs and even hospitals. Basically, there is no flooring job in Brisbane northside that we cannot do. Our range of services is matched only by the quality of our flooring products. To see for yourself, you can visit out showroom or get in touch online. 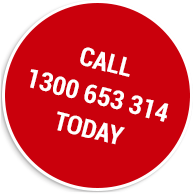 If you would like to know more about our flooring Brisbane Northside, contact us. To do so, simply fill in an online contact form through our website, or give us a call. Getting the right flooring is easy with Bennetts. We take a service-based approach with all of our clients. This means that we take the time to get to know you and your needs. To do this properly, we have developed our own service approach. It is designed to be convenient and straightforward, while also identifying and meeting your needs. If you need to replace or upgrade the flooring of your home or business, then get in touch. We encourage you to contact us through our website. To do this, simply fill in the online contact form and follow the prompts. If you would like to get a feel for our range of flooring materials, you can also visit our showroom in Cleveland. Once you have contacted us, our salesperson will fill out a lead information sheet. This will include all the important details that you provide us with. In some cases, we will also come out to your site and have a look at your current flooring situation. This will allow us to better appreciate what is required in the flooring project. During this visit, we will take all the necessary measurements and properly identify your needs. When we have compiled our measurements, we will create a quote for you. This will cover the costs and timeline of your project. If you accept the quote, we will use stock material or, if necessary, order additional material. We will then organise installation. When this is complete, we will conduct a site clean up and provide you with both your warranty and care guide. Fantastic service fast and hassle free. At Bennetts Carpets, we stock a very wide variety of flooring material. To give you a better idea of what we offer, we have created a brief overview of our flooring solutions. Our flooring services extend to both commercial and residential projects, which is reflected in our wide range. All of our products are high quality and Australian made, so you can rest assured that you’re in safe hands. As our name suggests, the team at Bennetts specialise in carpeting. Carpet provides your home with comfort and aesthetic appeal. To bring these benefits and more, we have state of the art carpet cutting equipment. This allows us to install carpets at a fast rate, while still ensuring a high standard of quality. Our range of carpets comes from such esteemed brands as Godfrey Hirst, Victoria and Quest. With all of these brands, sustainability is a top priority. Rugs are fantastic design tools for any home. The simple addition of a rug can inject colour and life into even the dullest of rooms. That is why we are proud to stock a wide of rugs variety here at Bennetts. Our rugs come in a range of patters, textures and colours. They are also available in different materials, including acrylic, nylon and wool. Rugs suit all types of applications, from protecting timber floors to providing an underlay for you bed. But above all, they look great. Vinyl plank flooring is popular for its aesthetic appeal and its durability. Vinyl plank flooring effectively emulates the right and modern appearance of timber. But it has an advantage in its more affordable price. Furthermore, vinyl plank flooring is very hardwearing and resists scratches well. It is easy to maintain and 100% recyclable, so you know that you have chosen a sustainable flooring solution. At Bennetts, we stock leading brands for our vinyl flooring, including Karndean, Decoria and Heartridge. Timber flooring is a timeless classic; it is one of the most popular and common flooring materials in Brisbane’s northside. Without a doubt, timber flooring takes the cake for elegance. Here at Bennetts, we strive to deliver the best variety, with a wide range of native hardwoods. We stock prefinished, engineered and unfinished timber. Our range includes Blackbutt, Spotted Gum, Jarrah, Australian Chestnut and Oak. All are hardwearing and can be sanded and repolished in the future. Can I install my new floor myself? Do you clean up the worksite on completion of the job? At Bennetts Carpets, service is everything. We take great care to leave your site in the same condition that we found it. We will remove all waste and dispose of it responsibly. The amount of flooring you need depends on the floor plan of your home. Our experts will conduct a through measure of your home and determine precisely how much flooring you require.